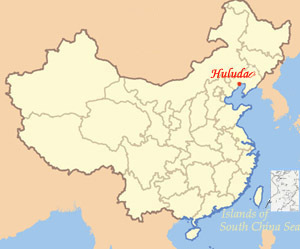 Juehua Island, also called Chrysanthemum Island, is the largest island in Liaodong Bay. It had a lot of names before till 1922, it changed into Juhua Island for there were so many chrysanthemums in the island. Juehua Island, the ancient city and hot spring are the three most precious things in Xingcheng. 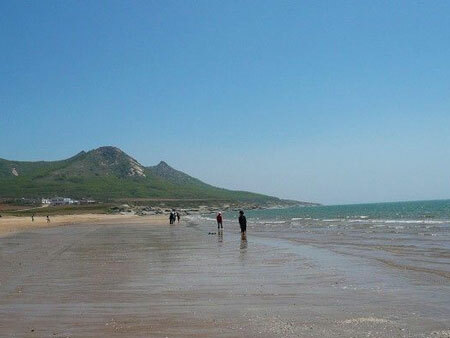 Located in 10 km southeast away from Xingcheng and 9 km from Haibin bathing spot, Juehua Island, whose area has been famed as Marco in the north, covers 13.5 square kilometers, and it’s coastline is 27 km. There are two scenic spots, Dalonggong Temple Scenic Spot and Guaishitan Scenic Spot, including a lot of attractions such as Haiyun Temple, Shifo Temple and so on. In the south of the island, there are granites with various shapes. Natural rockeries are all over the beach. Although they are natural, they look like to be carved by skillful craftsmen exquisitely.